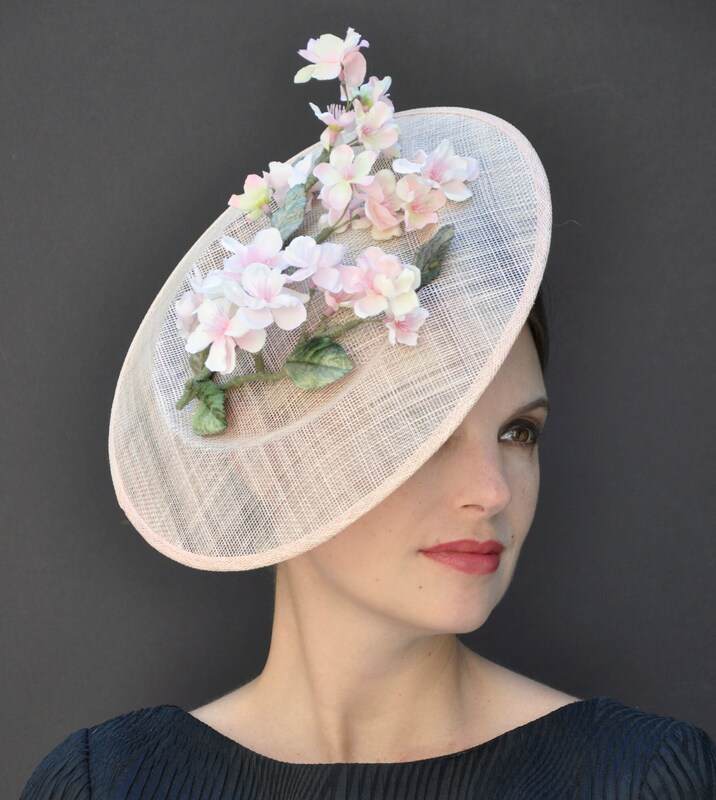 This lovely peach saucer hat is adorned with peach and apricot cherry blossoms. 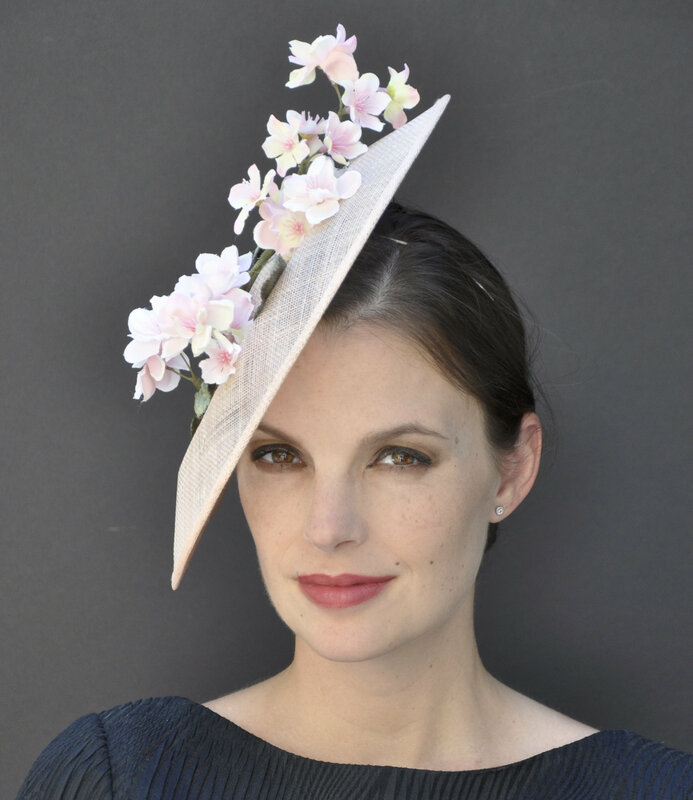 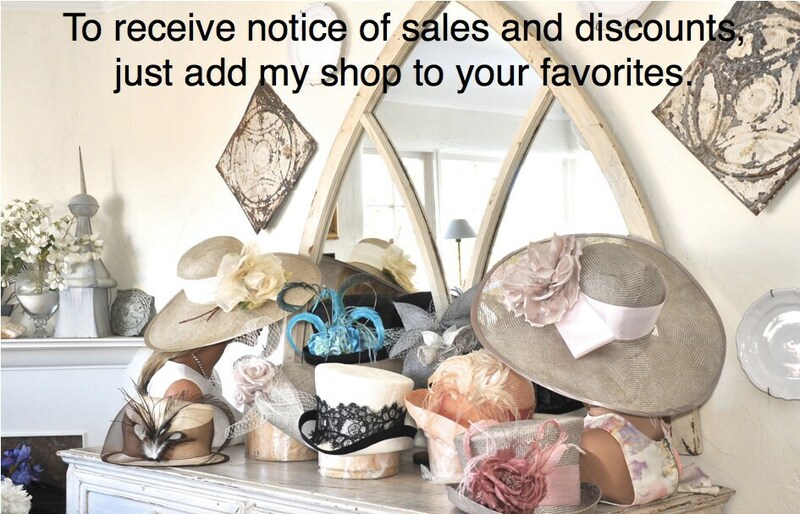 Saucer hats are extremely fashionable and can cost $3000-$5000 from top British milliners. 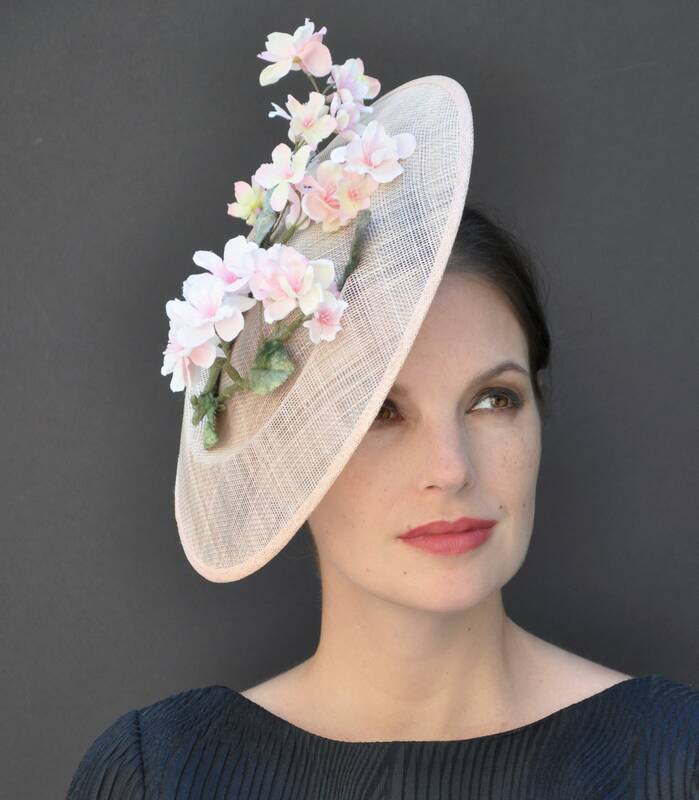 and the fashionable trend setters around the world, including Kate Middleton and celebrities prefer them.